Home / Dogs / Canine vaccines: why should my dog get them? Vaccines are usually little liquid solutions injected under your dog’s skin, in the lower neck or back region. The first ones (puppy vaccines) should be done from 6 to 8 weeks, the exact age depending if the puppy’s mother was vaccinated herself or not. Vaccines protect our puppies by generating a pool of antibodies against a certain virus or micro-organism. Some vaccines are combination or multivalent vaccines, meaning they contain the substances that will make your dog’s immune system create antibodies against more than one disease. Your puppy definitely needs to be vaccinated against canine distemper, parvovirus and hepatitis. These are all potentially deadly diseases that even when treated don’t have a guaranteed result and can leave lifetime after-effects on the afflicted puppy. A single dose of the vaccine will not be enough to reach a protective level of antibodies and you will be required to repeat this vaccination within a month or less and several repetitions may be necessary to secure immunity. Along with rabies, these are considered the CORE vaccines your dog must have. Leptospirosis is also a canine disease that can cause acute renal and liver failure and an infected dog may contaminate his human family members. However, leptospirosis is one of those vaccines that may or may not be advised for your pet depending on where you live and the type of lifestyle your dog has (dogs who engage in frequent outdoor activities in or near water are at greater risk). Your vet shall inform you whether you live in a region that’s at risk or not. More on leptospirosis can be found here. ICT or Kennel cough is a highly infectious with several known causative agents (bacterial and virus). It’s symptoms varies from mild to severe and risk of contracting it depends on age, immune status and lifestyle. If your dogs go to shows, doggie daycare, pet hotels or places with a high density of canine companions, then chances are your veterinarian will suggest you get them vaccinated, to be safe. Vaccinated animals may still get the disease, but in a less severe form. Protection levels also decrease rather quickly for this particular vaccine and your pets may need to be vaccinated every six months if they are in the risk group. Rabies is a very serious, potentially deadly disease that can infect both animals and humans. Even if you live in a country where Rabies has been eradicated, this is probably still the only animal disease that you are required BY LAW to have your pet vaccinated for. It is a very serious public health concern and a deadly threat still remains to be eradicated worldwide. Whilst all the diseases aforementioned (except leptospirosis) are given solely to protect animal health, rabies vaccine is a question of public health. For that reason, it is also one of the major requirements in terms of vaccination status when travelling with pets. The same as with human vaccines, there is controversy surrounding pet vaccines, namely when it comes to over-vaccinating our pets. 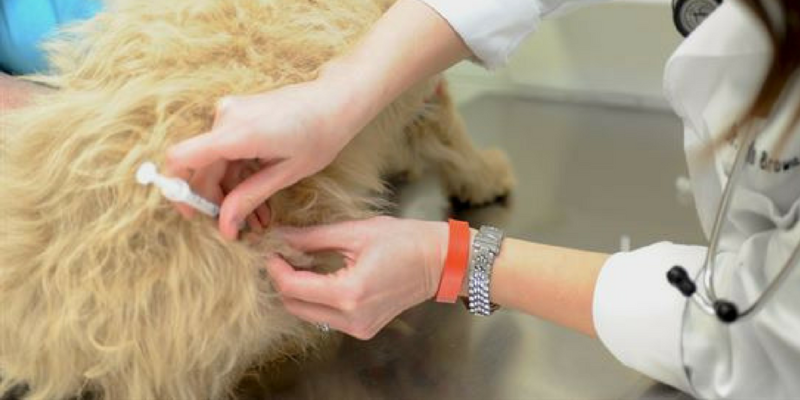 New international guidelines have come out for veterinarians to side by, dividing vaccines into core (parvovirus, distemper, adenovirus and rabies) and non-core (all others). Every time your veterinarian suggests a non-core vaccine into your health plan it is because the risk of disease is much greater than the perceived risk of over-vaccinating or having an adverse effect to the “shot”. Put your trust in the professionals and always ask to be explained which diseases your pupper is getting protection to and why. Frequency of shots has been debated because the one-year interval was largely accepted as standard for booster shots but recent studies are finding that stimulus of the immune system and antibody production varies between individuals and even throughout the life of a single dog. Sometimes 1 year is too much, sometimes not enough. Some vaccination frequencies may now vary up to 3 years in interval. The truth is we now owe to dog vaccines the fact that our dogs are living longer and healthier lives, dying less of infectious diseases that we can prevent and more of old age. Vaccination means protection. And who wouldn’t want to protect their best buddy? Make sure you’ll never forget a vaccine again! Download Petable NOW! That’s good to know that if your dog is near the water a lot or does outdoor activities a lot should get a leptospirosis vaccine. My Great Dane, Queenie, is growing up, and I want to make sure that she doesn’t have any health problems. Queenie loves to swim in the pond near us. I’ll have to find somewhere to take her to that’ll give her the necessary vaccinations. Hi Rhianna. Some canine diseases are zoonosis (transmissible to humans), such as leptospirosis and rabies. Your dog should always have his shots up-to-date and the best professional to guide you is a local veterinarian for they know what is prevalent in your region and what your dog should be protected against. There are international guidelines in terms of canine vaccination and its regularity, but even these say that the risks should be evaluated locally and the vaccination plans adjusted accordingly. ICT is a highly infectious but easily treatable disease. Even if your dog did come from a shelter, if he’s not showing any respiratory disease, just let your veterinarian inform you on the risks and take it from there. And you can use the PETABLE app (free for iOS and Android) to help you remember all the important vaccination dates and other preventive measures.